On Saturday, May 5, I gave a book talk at the Kress Library in DePere, Wisconsin. 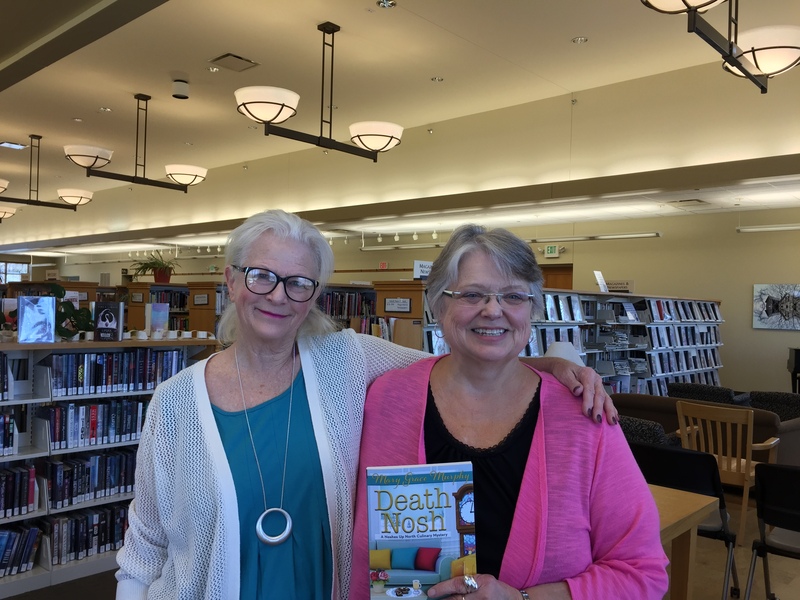 The winner of a Death Nosh e-book was Nancy Close, who is working on her first children’s book. Congratulations, Nancy! I hope you enjoy my story. 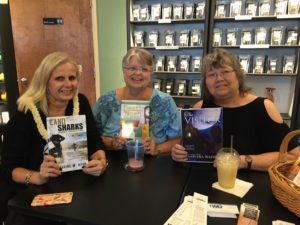 This entry was posted in Book signing, General, Kress Library, Uncategorized and tagged author talks, Book signing, Noshes Up North Series on May 9, 2018 by MaryGrace. Yesterday after getting out of bed, I tried to weigh as I do every day. However, low battery came on the screen instead. I flipped over the scales and saw the battery compartment was protected by an itty bitty screw. I knew I’d need to buy a small screwdriver. But first, I had to somehow drag myself through my 8:00 exercise class at the Bond Center, After much huffing, puffing, and gnashing of teeth, I survived and drove down to Stephenson Bank to make a deposit. When I drove up to the drive thru, I saw it was closed. There was a big sign on the window saying there’s now an e-teller window instead. I immediately knew this wasn’t good news for me and my struggles with technology. I pulled my car back around to the front, parked, and walked in to do it the old fashioned way. The real live person at the window was very pleasant and offered to show me how to use the e-teller window. I agreed, so we trudged outside to have a look. She explained everything and it doesn’t really look too difficult, but it’s one more change. I made my deposit and whipped over to Dollar General to purchase a small screwdriver. The clerk directed me to an eyeglass kit. Excellent! Back home to fix my scales. 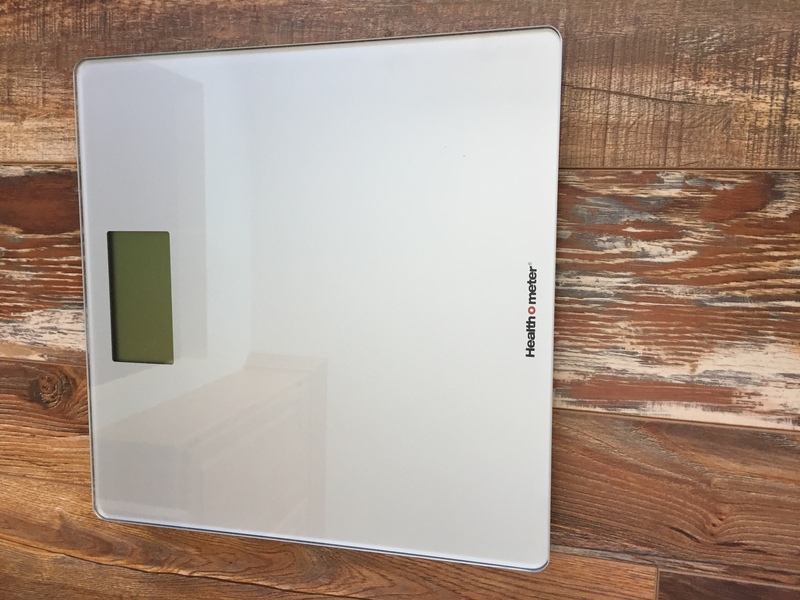 Once home I grabbed my scales and began the surgical procedure. I was surprised I had such a difficult time. Finally the screw started to turn. Then I remembered I needed a battery because, of course, I hadn’t thought to buy it at Dollar General. I decided I better get it before I remove the tiny battery in fear of losing it. Drove to Family Dollar for the needed product. Home again and back to work. I found I couldn’t move that @#$%&*+ screw any more. I used one of my larger screwdriver to try to pry the screw out. I had a vision of a squirrel with a nut. The battery compartment is all dented up. End of the story? 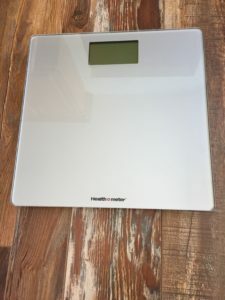 I’m buying a new scales. This entry was posted in General, Uncategorized on April 20, 2018 by MaryGrace. I recently returned from Panama City Beach, Florida, where I had visited a friend in February. The weather was unseasonable warm for the Panhandle, but was definitely appreciated. 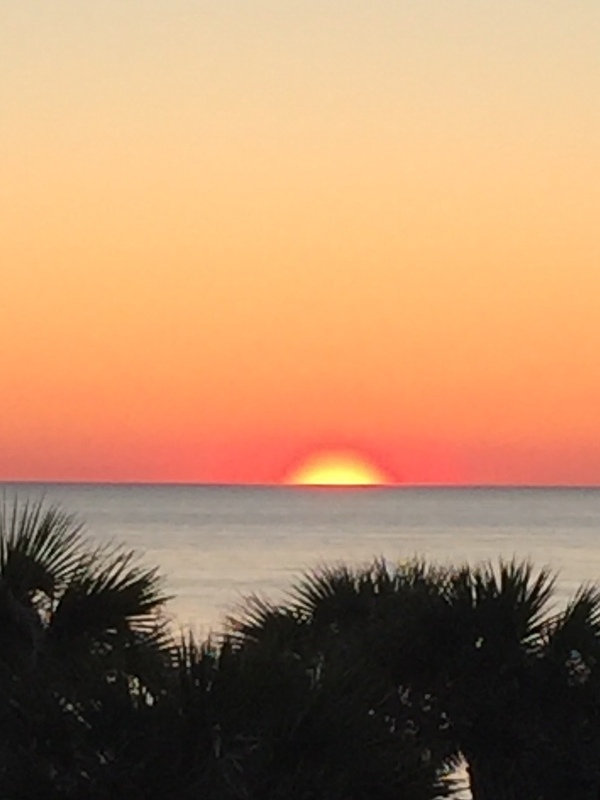 We experienced some beautiful sunsets from the balcony of the condo. Just listening to the waves lapping on the beach when I went to bed was enough to make me leave my slider open a crack . No writing was accomplished on this trip, but I was a faithful food tourist. I’ll soon be updating this blog with pictures of some of my favorite taste sensations. It was wonderful to eat fresh seafood in the middle of winter. As always, though, as enjoyable as it is to go away, I was delighted to return to my little corner of Northeast Wisconsin. I agree with Dorothy-there’s no place like home. 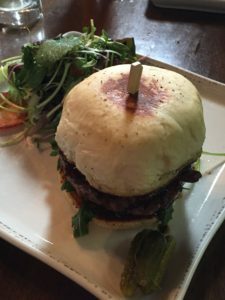 This entry was posted in Florida 2018 reviews, General, Noshes Up North, Uncategorized and tagged Noshes Up North on March 23, 2018 by MaryGrace. In January, a friend and I tried the Copper State Brewing Company in Green Bay. I had been there years before when it was Hinterland. I loved it then and hoped this new place would be good as well. We were not disappointed. 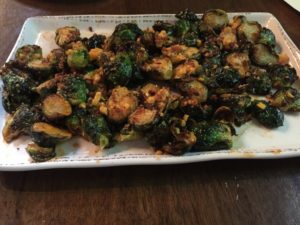 An appetizer of brussel sprouts was ordered. A huge platter arrived with sprouts, bacon, maple syrup, aged cheedda cheese, and hot sauce. We dug in with glee. We agreed this dish was worthy of a repeat performance another time. 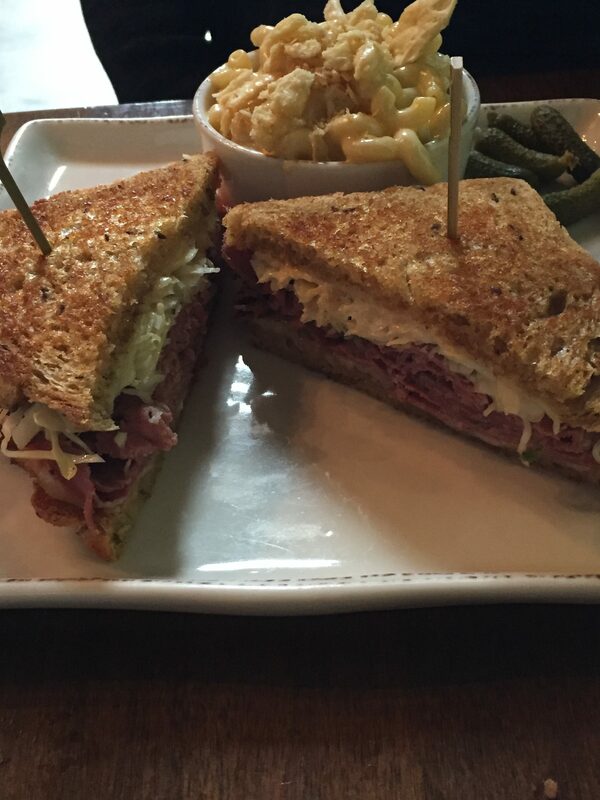 My friend ordered the Pastrami Reuben and a side of beer mac and cheese. She said it was delightful. I can vouch for how scrumptious it looked. I decided on the Truffle Shuffle Burger, an 8 oz. 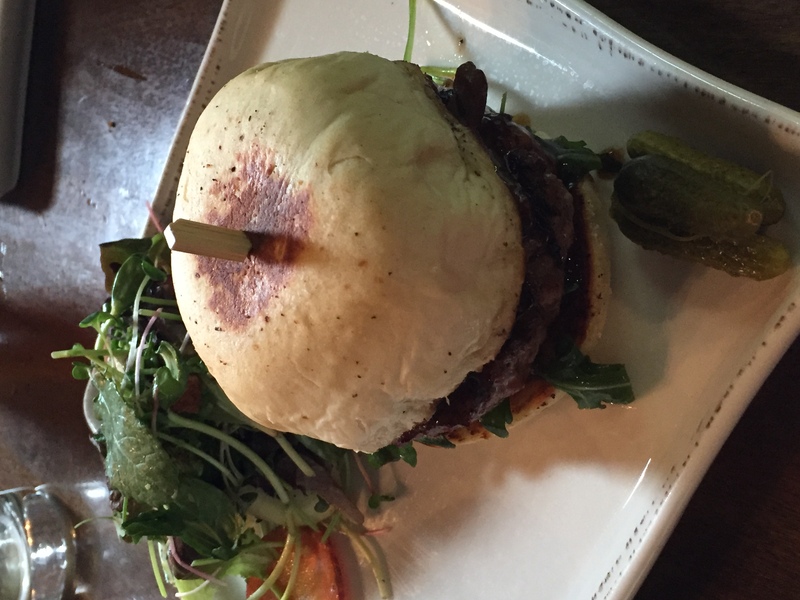 patty with black truffles, mushrooms, and demi-glace over arugula. My side was a small salad. I don’t eat beef as much as I used to, but this made me question how much I’ve been missing. What a blend of tastes! It melted in my mouth. The richness of the sandwich made me glad I’d ordered a salad rather than fries to go with it. The building itself is quite interesting, too. Take a look around. They brew two beverages – both coffee and beer. We only tried the beer, but I’m sure the coffee is wonderful, too. Next time you’re in Green Bay, please consider Copper State Brewing. I think you’ll like it. 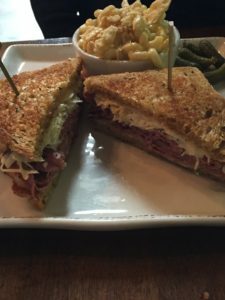 This entry was posted in General, Noshes Up North, Uncategorized and tagged Copper State Brewing Company, Green Bay restaurants on March 19, 2018 by MaryGrace. 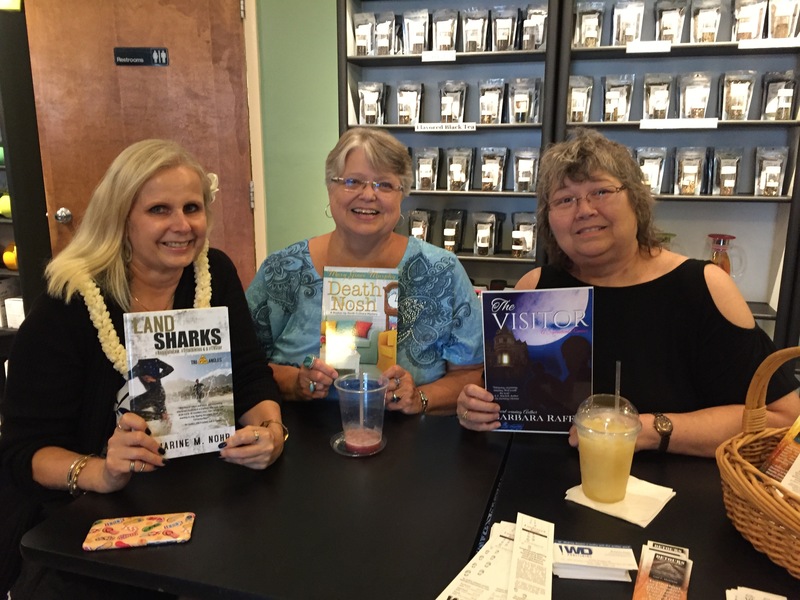 Last night Written Dreams Publishing sponsored an author signing at The Attic bookstore in Green Bay. This picture shows three of us. I’m in the middle. To my right is Katharine Nohr, who flew in from Hawaii. To my left is Barb Raffin, who drove down from Iron Mountain, MI. 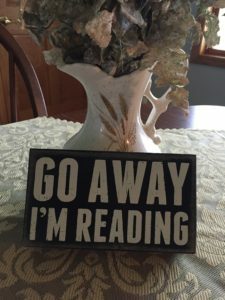 I’ve known Barb a long time and have read several of her great books. It was the first time I’d met Katharine, but I feel like I know her after reading her first book, Land Sharks. What a sweetheart! The other authors offered books from many genres and represented a wide age range. The youngest being a sixteen year old girl and the oldest, a gentleman nearing ninety. It was a fun event! This entry was posted in Book signing, Noshes Up North, Uncategorized and tagged Book signing, Death Nosh, The Attic on August 10, 2017 by MaryGrace. I was in for a hot surprise last weekend while in Minnesota for my niece’s graduation. Preparing for bed the first night, I grabbed my travel tube of toothpaste from my toiletry bag and proceeded to brush my teeth. The taste startled me and soon my mouth was on fire. I spit the substance out and rinsed my mouth. I wondered what happened as this didn’t taste the same as last weekend when I was also traveling. 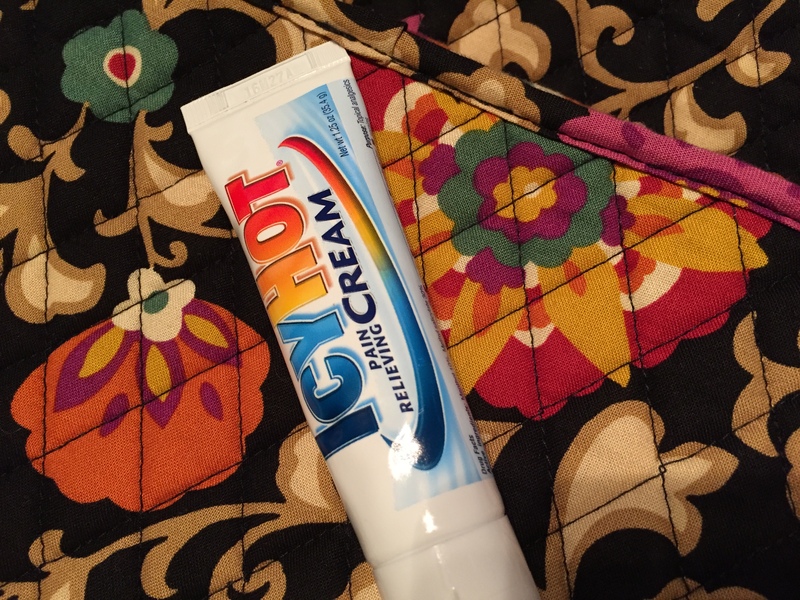 I looked at the tube and saw Icy Hot. Good grief! Would Nell do something like this or is it classic Mary Grace? 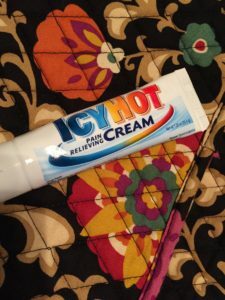 This entry was posted in General, Noshes Up North, Uncategorized and tagged Icy Hot, toothpaste on June 1, 2017 by MaryGrace. 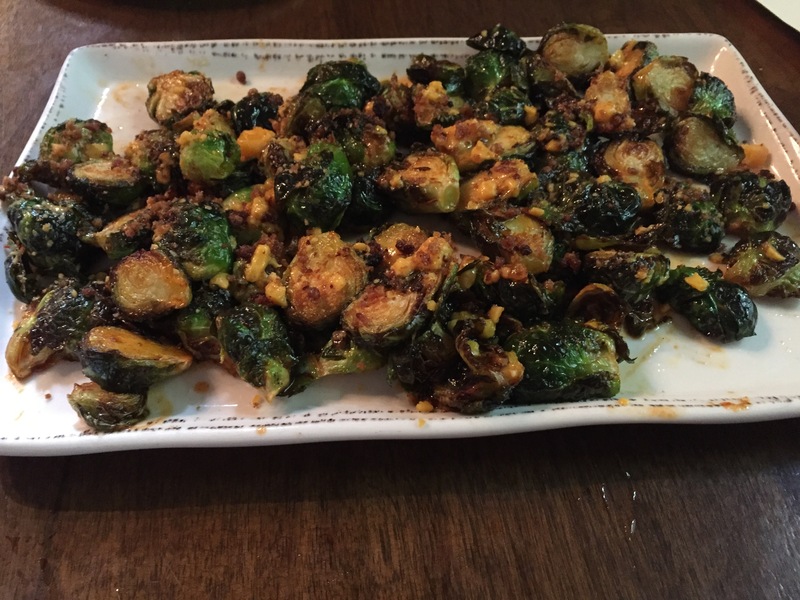 Rustique in Suamico offers many choices for your dining experience. I have never been disappointed with any of the entrees I’ve ordered. Last week a friend and I lunched there again. I picked one of their daily specials printed on the huge chalkboard at the back of the dining room. 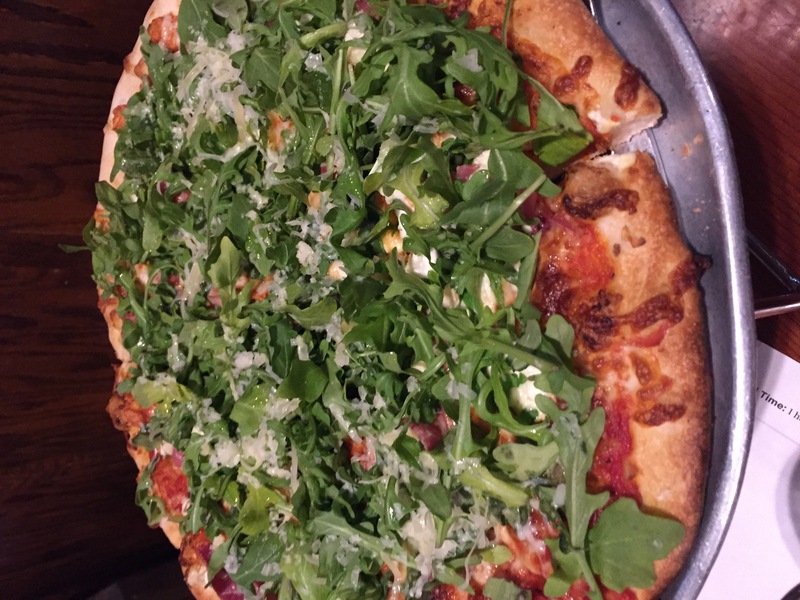 It was an arugula and prosciutto pizza with goat cheese, topped with olive oil and lemon. This pie sounded different than any I’ve eaten before. And it was. The arugula was so fresh and all the ingredients blended perfectly. The dough is hand tossed in the open kitchen for our viewing pleasure and baked in a brick oven. Enjoying this pizza reminded me to get out of my comfort zone more often. I recommend Rustique to anyone looking for a delicious meal. True nosh! 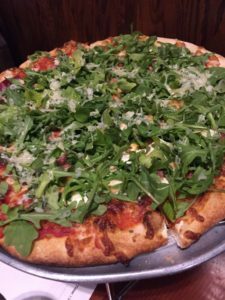 This entry was posted in General, Noshes Up North and tagged Noshes Up North Review, Pizza, Rustique on May 17, 2017 by MaryGrace. I had a wonderful time at a delicious potluck at the Pilgrim Congregational Church in Green Bay on Tuesday. Afterwards I gave a short book talk about my writing journey and had a book signing. The ladies at the lunch made me feel right at home. What a fun group! 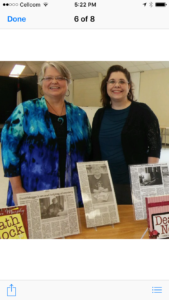 Standing next to me is Brittiany Koren, my publisher for my latest book, Death Nosh. She owns Written Dreams Publishing right in Green Bay. She also was the editor for my first two books. Many thanks to you, Brittiany. This entry was posted in Book signing, General and tagged Green Bay, Green Bay Authors, Pilgrim Congregational Church on May 4, 2017 by MaryGrace. 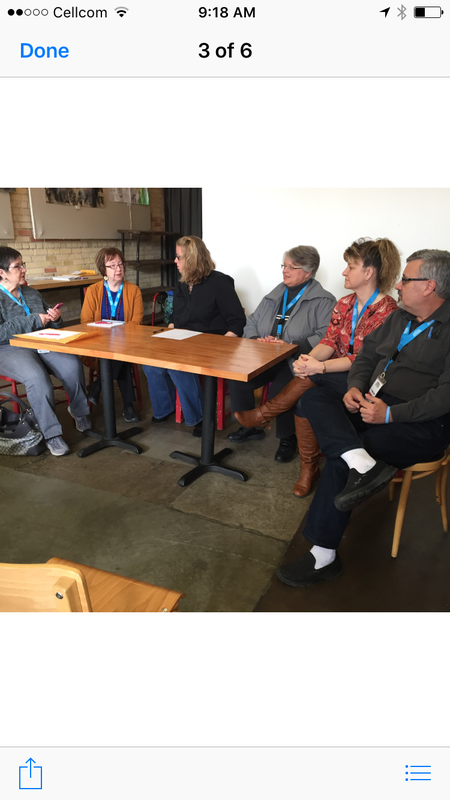 Our panel members on Saturday at the UntitledTown Book and Author Festival fielded wonderful questions from the audience. 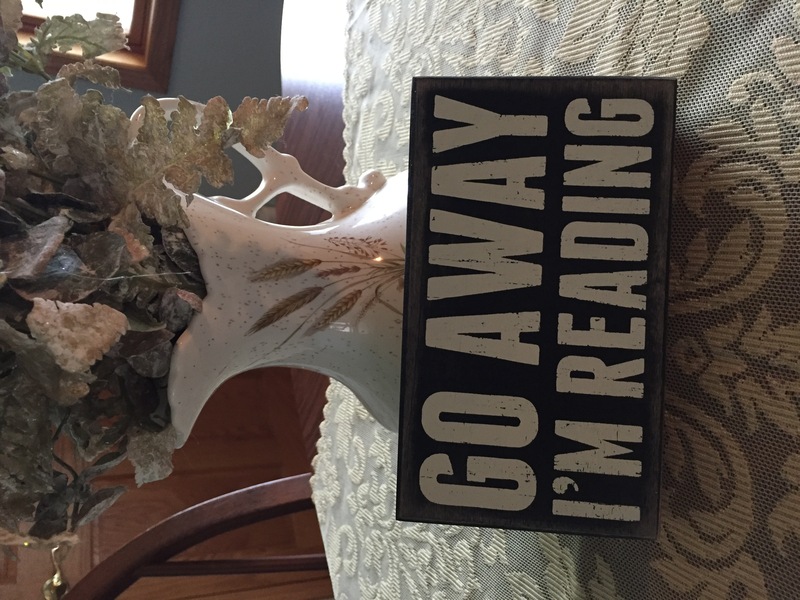 We all belong to WisRWA – Wisconsin Romance Writers of America, but our writings cross a wide span of genres. The six of us on the panel write women’s fiction, romance, western punk, culinary mysteries, and sci fi romance. Our listeners were a lively bunch of up and coming authors. There was real potential in Green Bay Saturday. I hope them the best. After a delicious lunch at Kavarna’s, our group moved over to Old Town Square for the Book Fair. Lots of readers were anxious to talk and ask more questions of the many authors gathered there. This entry was posted in Book signing, Uncategorized and tagged Book signing, Green Bay Authors, UntitledTown Book and Author Festival on May 1, 2017 by MaryGrace. Many of you may have heard about the new event in Green Bay this weekend. UntitledTown book and author festival features famed and unfamed authors alike. Yours truly is on a panel of women’s fiction and romance writers at Kavarna’s Coffeehouse on Broadway. This takes place Saturday from 9:30-10:45. In the afternoon there will be a large book fair at Old Fort Square. Other places where you can find workshops, readings, performances, and other events are Backstage at the Meyer, Brown County Library, KI Convention Center, St. Brendan’s Inn, and Titletown Tap Room. Alexie Sherman, author of “The Absolutely True Diary of a Part-Time Indian,” and Margaret Atwood, author of “The Handmaid’s Tale,” are both speaking on Sunday. I read Sherman’s book a few years ago and Atwood’s many years earlier. A new series based on her book began on Hulu this week. This entry was posted in Book signing, Uncategorized and tagged UntitledTown Book and Author Festival on April 27, 2017 by MaryGrace.